According to statements today, Buick’s rearview camera will become standard technology on the entire 2015 Buick lineup. It’s not just confidence that the cameras are good for, however. A 2013 study out of the University of Michigan’s Transportation Research Institute showed that vehicles housing rear backup cameras had a severely reduced rate of backing crashes. In this particular study, 97 percent of the backing crashes involved a second vehicle; this data corresponds with actual U.S. crash data analyses. Buick’s rearview camera won’t be the only thing bolstering confidence in drivers of 2015 Buick models, however. Five-star Overall Vehicle Scores from the National Highway Traffic Safety Administration will likely also instill a bit of assurance in Buick drivers. 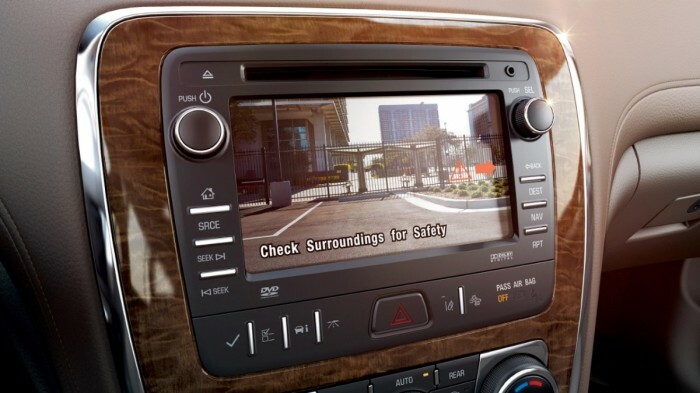 Available active safety features for the 2015 Buick models include Cross Traffic Alert, Forward Collision Alert, Lane Departure Warning, and Side Blind Zone Alert. Additionally, every Buick also comes with six months of OnStar Automatic Crash Response.